$ 600 +tx / Month Villeray/Saint-Michel/Parc-Extension (Montréal) 440 - 444, Av. Beaumont Commercial rental space/Office #25820558 5 office spaces available on 2 floors. #101, 117 sq. feet. #102, 195 sq. feet. #104, #207, 165 sq. feet. #208, 143 sq. feet. $ 14 / Square Feet +tx / Year Villeray/Saint-Michel/Parc-Extension (Montréal) 440A, Av. Beaumont Commercial rental space/Office #23608736 Spacious premises with lots of light. Great location close to the new University of Montreal campus and 2 metro stations: Parc & Acadie. Safe area. Clean building. $ 39,000 Rawdon Rue Apollo Vacant lot #10856848 4 terrains avec superficie totale de presque 60,000pc - secteur résidentiel - accès rapide à la route 125, à 10 minutes du village de Rawdon, de Ste-Julienne et de Chertsey. A 5 minutes de Ski Montcalm. 50 minutes de Montréal. Zoné R16 Blanc pour unifamilaile ou bifamiliale. Whether you're looking to purchase or sell a property, this type of financial transaction is often one of the most important ones you'll ever face. Therefore, I guarantee that by doing business with me, you'll offer yourself peace of mind and an exceptional service in the finer points of the real estate industry. I invite you to visit my website in order to provide you with some insight as to how I can help you achieve your real estate goal. The threshold level required to attain the Master Sales Award is the top 11th-20th percentile of each residential market's sales representatives' earnings. Certificate awarded to brokers members attaining the Director’s Platinum or President’s Gold Award five out of seven previous consecutive years. 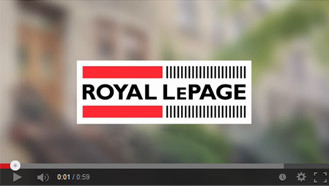 Certificate awarded to brokers entering the top 10% of all Royal Lepage Residential real estate brokers. The threshold level required to attain the Director's Platinum Award is the top five percent of each residential market's sales representatives' earnings.